The top 7 outdoor attractions to explore in Jacksonville. Pack the kayak and the camping gear, the fishing poles and the surfboard, the… oh wait, you’ll need a minibus for all of that, instead just pack your passion for the outdoors and come to Jacksonville, home of the largest urban park system in the nation, and experience all the eco-adventures your green heart desires, and get a whole new appreciation for sunblock! Jacksonville’s outdoor attractions will take you from parks to peaceful riverfront views, kayaking the marshes and wetlands, biking miles of nature trails, paddleboarding in freshwaters lagoons, surfing the best waves in the region, fishing all year-round, and connecting to the local wildlife in settings you’ve never experienced in Florida before. The Jacksonville Zoo and Gardens is hard to beat. They have exhibits ranging from Land of the Tiger to Wild Florida. There are so many species, from small frogs and butterflies to tall giraffes and active monkeys. The number of exhibits to see is almost overwhelming, but it can be done in a day. Do a loop through Asia and see the beautiful Bamboo Garden, wave at the giant komodo dragons and step into the Land of the Tiger. Back up on the main path, you travel to Australia next to see lorikeets and kangaroos. You’ll get to spend some time at the Play Park if you’ve got little ones (don’t miss the penguins! ), then it’s on to South America, where one of the Zoo’s icons resides--the Range of the Jaguar. Here, jaguars prowl in caged walkways above the main path, and in the Palm Plaza Cafe, only a piece of glass separates you, and your lunch, from the jaguars. Then, it’s onto Africa to feed giraffes at the Giraffe Overlook. Don’t miss the African Forest on the other side of the main path. They love to put on a show. Then, there’s a walk through Wild Florida, where you can see alligators, black bears and turtles up close. Last but not least, the Plains of East Africa, which houses rhinos, ostriches, and of course, elephants. The Catty Shack Ranch Wildlife Sanctuary is a nonprofit dedicated to providing a forever home for endangered big cats. They’ve also taken on a commitment to teaching visitors about big cats (as well as a few foxes, coatimundis and bobcats). They offer day time tours, as well as exciting night feedings. It’s special for cat lovers, housing 29 leopards, cougars and tigers. It’s an opportunity to get up close and personal with big cats in a way that’s not attainable at the zoo. Nature enthusiasts enjoy historic tours through nature from Fort George Island and up to Kingsley Plantation. All the while, guides discuss flora and fauna, while telling the history of the island. These tours are offered throughout Jacksonville in our lush natural habitats. Book your next eco tour through EcoMotion Tours or Kayak Amelia. Jacksonville has the largest urban park system in the nation, with more than 450 urban parks, 7 State Parks and 2 National Parks. Venture out to the Riverwalk in Downtown, Memorial Park in historic Riverside, Balis Park on the quaint San Marco Square, Stockton Park in riverfront Ortega, Walter Jones Historical park in Mandarin, Castaway Island Preserve on the Southside, Hanna Park in Atlantic Beach, and Huguenot Park on the Northside to explore some of the most unique, and beautiful examples of urban parks in Jacksonville. On the city’s Northside, kayak or hike to marshes, wetlands, wildlife, and pristine beaches, all just a few minutes from the city’s core. Big Talbot and Little Talbot Islands are the most photogenic, and offer facilities and rental gear to hype up your trip. The Timucuan Ecological and Historic Preserve and Fort Caroline National Memorial, are the area’s two National Parks. The Preserve is home to 46,000 acres of unspoiled coastal wetlands and marshes ideal for fishing, birding and spotting otters and dolphins in the wild. Jacksonville fishing is known for its diversity. Because Jax waters can be both cold and warm, it allows for different kinds of quality fish to live here at different times of the year. No matter when you go out, there’s something to catch. But if you’re a new to fishing, how do you know where to go? 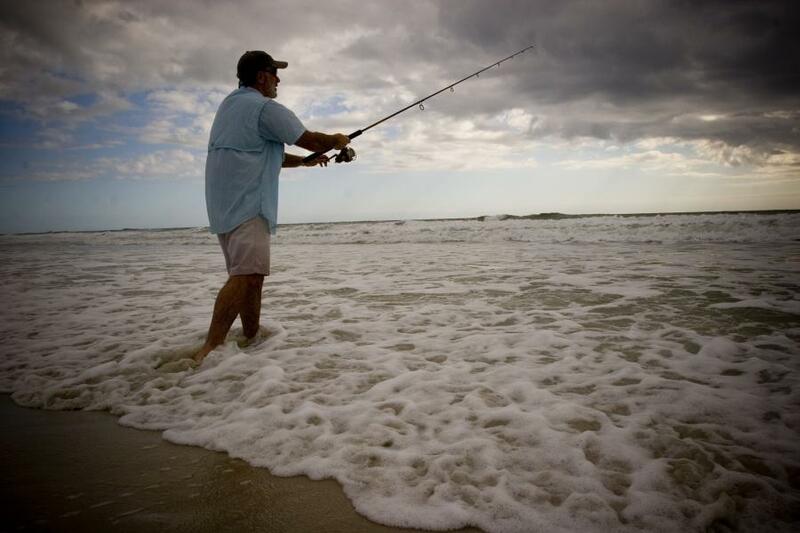 The ocean is a big place and it can be hard to find the fish you want to catch. That’s where charters come in. They exist to share their knowledge with you--the captains on the boat often have years of experience they can’t wait to share with you. They’ll show you how to catch bait, how to cast a line and where to go to find the fish you really want to catch. That way, you don’t have to waste time looking for them on your own boat. You can spend more time doing what you really want to do: fish. Kayak tours give the same benefits of fishing tours. They’ll take you to the must-see spots and point out the wildlife and vegetation. You don’t have to waste time looking through guidebooks or paddling the wrong way. Kayak Amelia offers many different kayak excursions around the area, including ones that see Little Talbot’s famous Boneyard Beach, the tidal marsh of Egans Creek and Amelia Island’s lighthouse. Adventure Kayak Florida will take you around the heart of Jacksonville, through Ortega River, Julington Creek and Thomas Creek Preserve. All tours give you ample opportunity to see Florida’s wildlife and experience it in a low-impact way. You can’t come to Northeast Florida without learning how to surf. But you don’t want to go out to the pier at Jax Beach and embarrass yourself, right? That’s where lessons come in. Jax Surf and Paddle will take you out and teach you how to surf in an hour. They are kind and patient and will get you on your board in no time. Jacksonville has a close-knit surfing community that’s a wonder to be a part of. The surf here is one of the most underrated in the region, as it’s consistent and sunny. These are just a few of our favorite outdoor activities in Jacksonville. 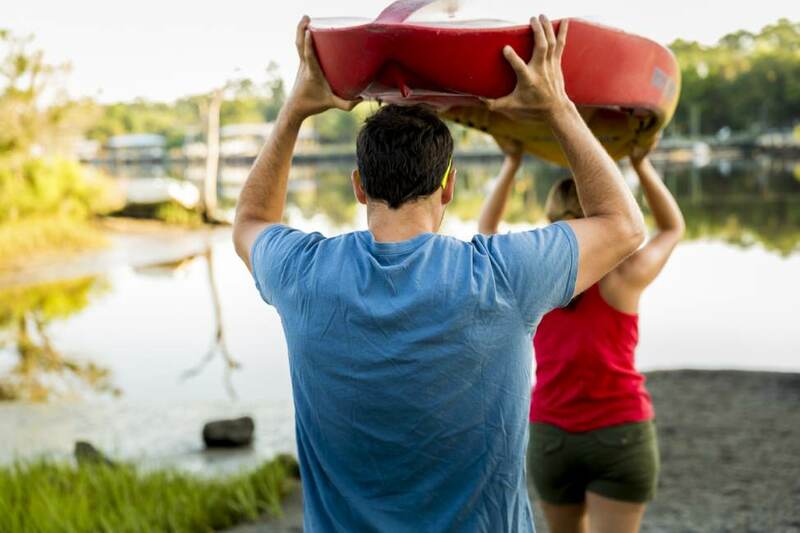 With our gorgeous year-round weather there's so many ways to get outside and get on the water. Check out all of the great things to do here.